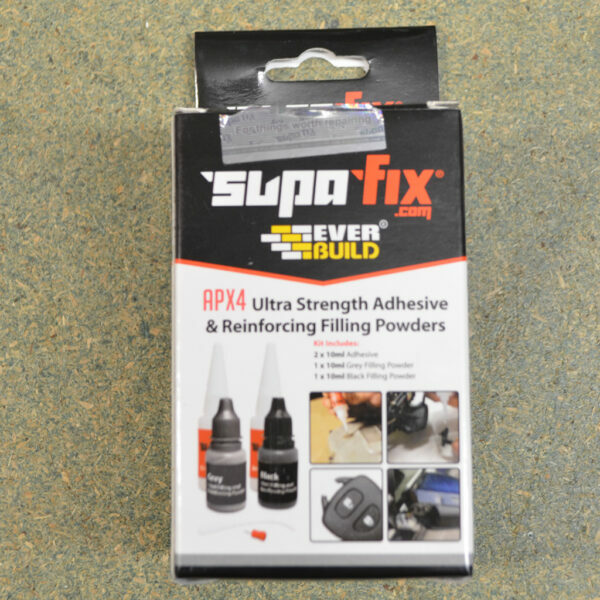 APX4 ultra strength adhesive & reinforcing filling powders from Everbuild. 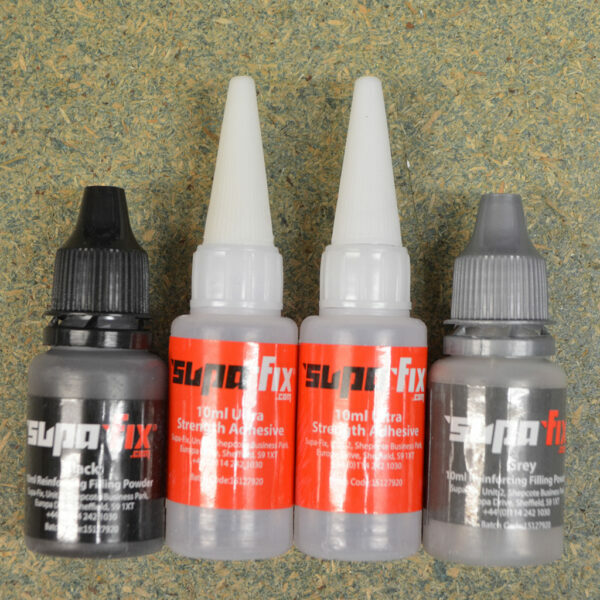 SupaFix will bond nearly all types of materials together. 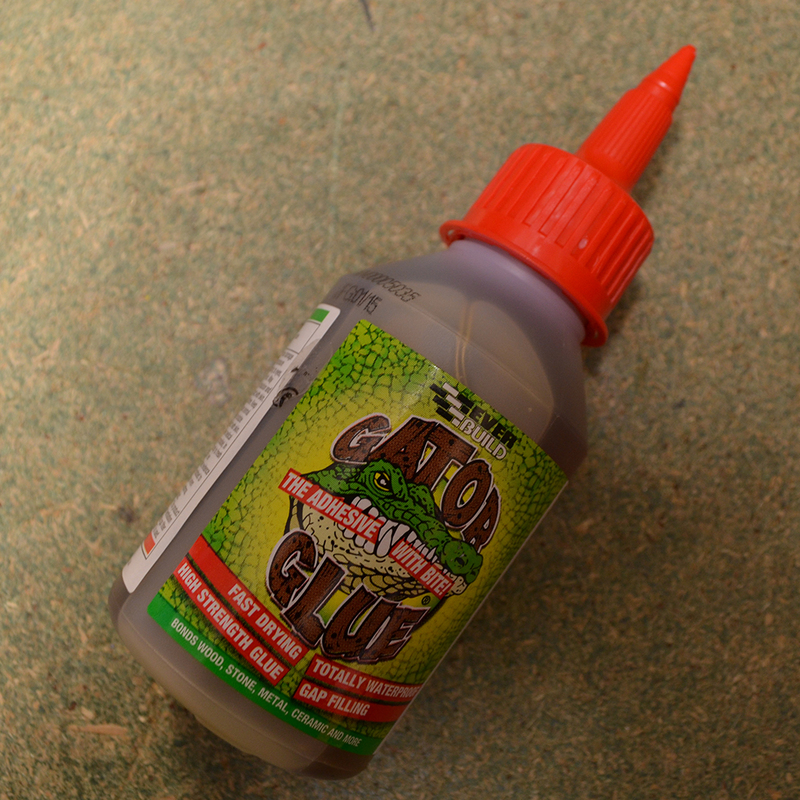 It can also be used to fill cracks and holes with the ultra strength adhesive and reinforcing powders. This can be used to: fill it, bond it, file it, grind it, sand it, screw it, drill it, paint it and fix it. 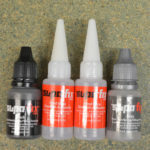 This kit includes: 2 x 10ml ultra strength adhesive bottles, 1 x 10ml black reinforcing powder, 1 x 10ml grey reinforcing powder, 1 x anti-curing pin, 1 x precision nozzle. See below description for a video showcasing the product. Here is a video showcasing this incredible product. £8.62 Price Inc 20% VAT on applicable items.